Transferring data from an Android device to an iPad may not seem like an easy task but if you get hold of the particular apps and the methods to use them, then you might be able to complete the task smoothly. Though being two different operating systems, these can be easily linked together to transfer videos or data with certain apps and software. So, if you want to transfer videos from Android to iPad, we are here to help you. In this article, we have 4 effective solutions to get your job done effectively. So, let's begin. 1. First, connect your Android device to your computer and navigate to "Internal Storage" to get the videos. 2. Now, from your storage, select and copy the required videos on to your computer. Choose any desired location. 3. Now, download and install the Tenorshare iCareFone on your computer from the official website. 5. Go to "File Manager". You will be provided with a list of options. Choose "Videos" from them and tap on "Add". 6. Now, a pop-up will appear and tell you to choose the video files to send to iPad. 7. Choose the videos from the location you saved them earlier in your computer and tap "Open". The chosen videos will be transferred to your iPad successfully. Designed by Apple, Move to iOS is an app developed specifically to move data from Android to iOS devices. Even after changing their device, users can easily rebuild their photo and video collection with the help of this app. So, if you wish to share videos from Android to iPad, this is a viable app to get it done efficiently. Keep in mind, it needs Wi-Fi and won't be able to selectively choose videos or any data. 1. 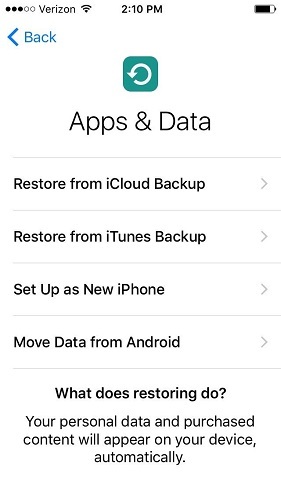 First, on your reset or new iPad, go to "Apps and Data" screen and select "Move Data from Android" option. 2. Then download and install "Move to iOS" on your Android device and tap on "Continue" and then again tap on "Agree". Now, tap "Next" while on "Find Your Code" screen. 3. After tapping "Continue" after "Move Data from Android" screen on your iPhone, a 10-digit or 6-digit passcode will be visible on your iPad, type it on the Android panel. 4. Instantly after entering the code, a pop-up will appear asking you to select file types. 5. Depending on your desire you have to choose the option and then tap "Next". 6. Now, a progress bar will be shown on the iPad screen, once it fills up your need tap "Done" on your Android device. 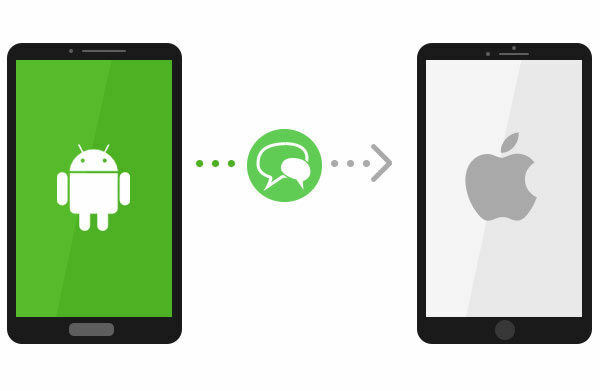 Unfortunately, Move to iOS won't recover your app collection from your previous Android device. Unable to send all types of data. Only works on new or reset devices. 1. First, connect your Android device to your computer with a USB cable. 2. Your computer will take a few moments to detect the device after it detects the device, it will be added as a "Portable Device". 3. Now, enter the "Portable Device", navigate to "Internal Storage" and look for "DCIM" folder. 4. If you are using Mac as your PC then you have to install "Android File Transfer" before you connect the device. 5. Find the video files you were looking for and copy them to your computer. Choose any desired location. 6. 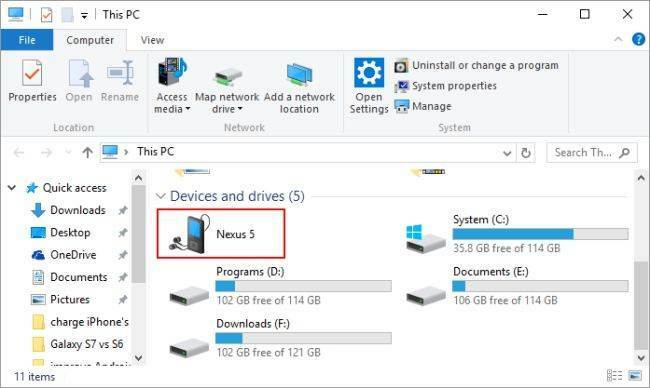 Now, remove the Android device and connect your iPad to your computer. 8. Now, run the iTunes app on your computer and connect your iPad via USB. 9. Tap on the device icon and select your iPad from the list. 10. Choose "Photos" and tick the checkbox of "Sync Photos"
11. Now, choose "All Photo and Albums" and carefully select "include videos" option while selecting the path of the previously saved videos from Android. You have finally synced your videos with your iPad via iTunes. Now, you can access your video files from your iPad. Transfer process is hectic and troublesome. 1. Run the SHAREit app on your Android device. 2. Then go to "Select Files" and select the videos files you want to send. 3. After that tap on the "Send" button. 4. Now, on the scanning screen, the app will look for any available device in the area. At the moment the app won't connect to your iPad as it is not connected to any Wi-Fi network. 1. So, on the scanning panel select "Connect to iOS/WP" and then tap "Continue". 2. Now, your Android device will be turned into a hotspot. 3. Now, connect the iPad with that hotspot. 4. Then open the SHAREit app on your iPad and finally tap "Receive". So, now you know how to get videos from Android to iPad using Shareit. The transfer speed is excellent. The interface of the app is very simple. Although the app was released a few years back, there are still a few bugs in the app. All of the methods discussed in the article are proven safe and secure for data transfer from Android to iPad. Needless to say that all of these apps are Apple certified and they are genuinely fast and user friendly. But when compared to Tenorshare iCareFone all these apps lack features as depicted above. Tenorshare iCareFone is able to transfer your data from one device to another regardless of its operating system, along with providing other helpful features as well. Highly recommended!